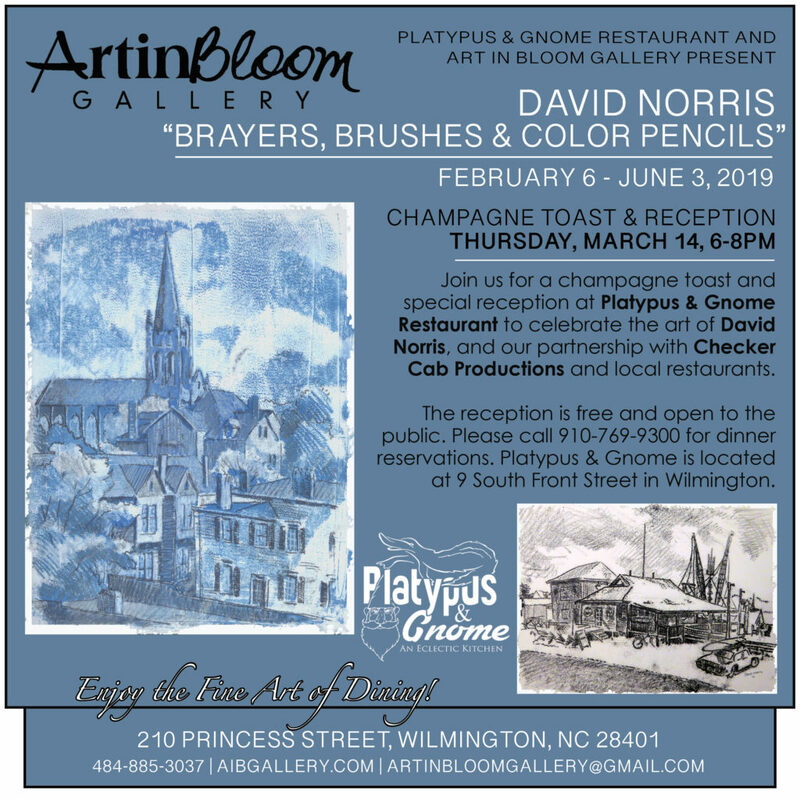 Dine at Platypus & Gnome Restaurant to view an enticing new exhibit of printmaking and drawings, “Brayers, Brushes, and Color Pencils” by artist, David Norris, as part of our partnership with CHECKER CAB productions and local restaurants. This entry was posted on Thursday, March 14th, 2019 at 6:00 pm	and is filed under Special Event. You can follow any responses to this entry through the RSS 2.0 feed. Both comments and pings are currently closed.